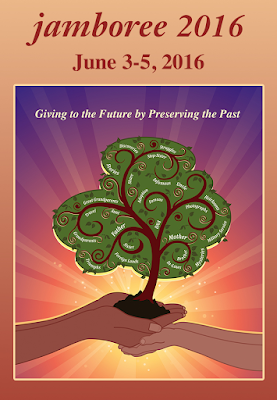 Gena's Genealogy: Let's Talk Social History and Genealogy at Jamboree! Let's Talk Social History and Genealogy at Jamboree! Are you using social history in your genealogy? Are you looking to add to your research more than just dates and names? Social history helps you tell the story of your ancestor's life. Join me for the workshop Enhancing Your Genealogy with Social History. We will discuss methodology and resources to help you bring your ancestor's story to life. I'll also be providing a workbook for participants to use during the workshop and later. You can read more about this workshop on the Jamboree blog. Early bird registration ends April 23rd so don't miss out!